Tomorrow I launch my line of handmade cosmetics, coincidentally branded Home & Grace. I have absolutely no idea if I’m going to make any money or if the people who do buy my products will like them. Basically, I am terrified. It’s hard to put myself out there in this way and have no guarantee it will be worth my time, money and energy. 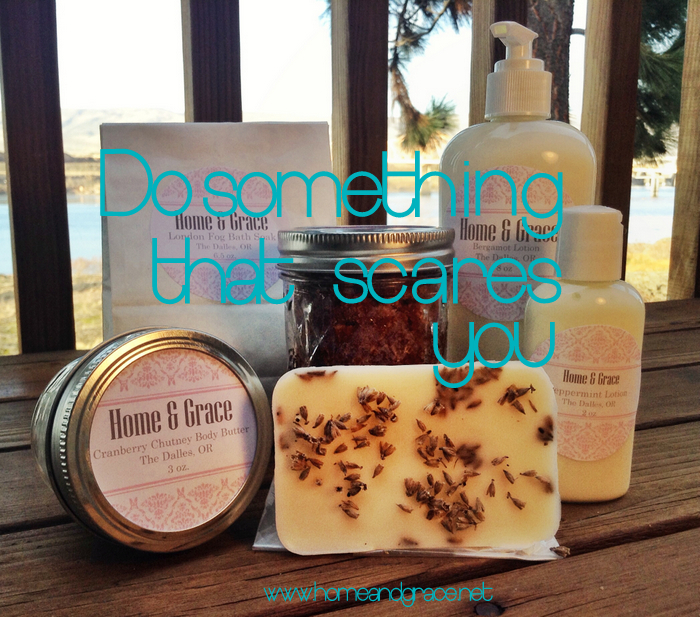 Categories: Intentional Living | Tags: handmade cosmetics, Risk | Permalink.